Issued by the Cleveland Press in 1965. 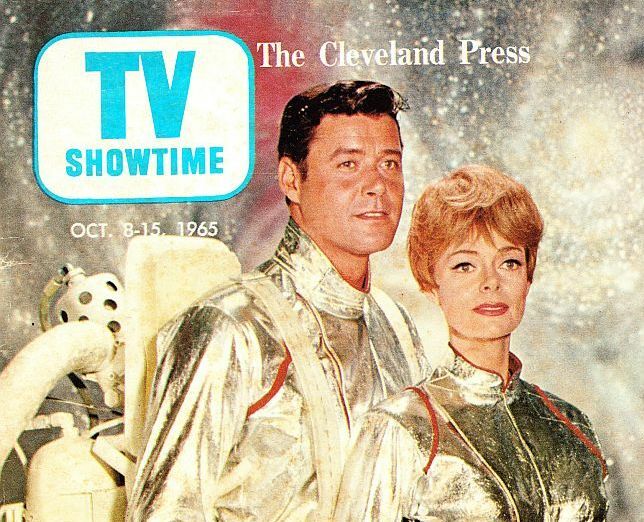 This is a rare TV (ShowTime) guide. Two years ago I was on a phone auction and finally won this item for $585.00. This item made history in several collectible magazines and papers. In my opinion, this is the rarest TV guide to find on the classic series. 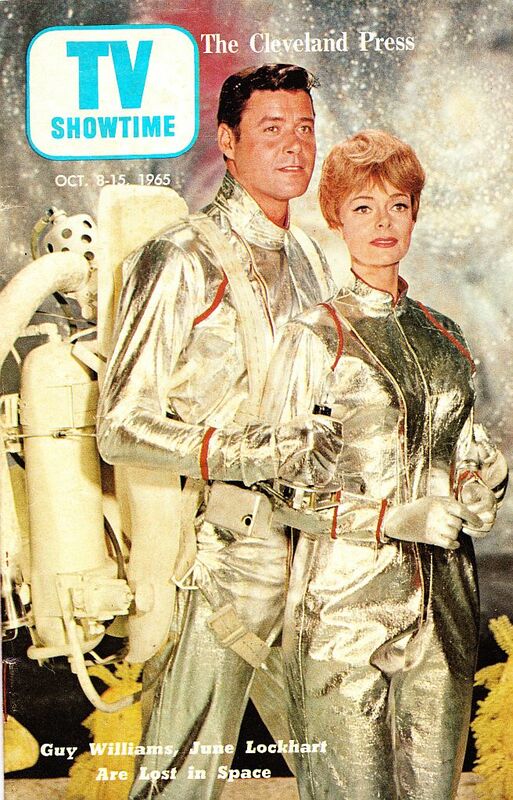 for Oct. 8-15, 1965, with a full color cover, featuring Guy Williams, and June Lockhart as Mr. and Mrs. Robinson of "Lost In Space". This book (TV Showtime) measures (approx.) 5.25"x8", has 36 pages, and is in excellent shape (with very minor/normal age wear), crossword puzzle is completed in pencil. 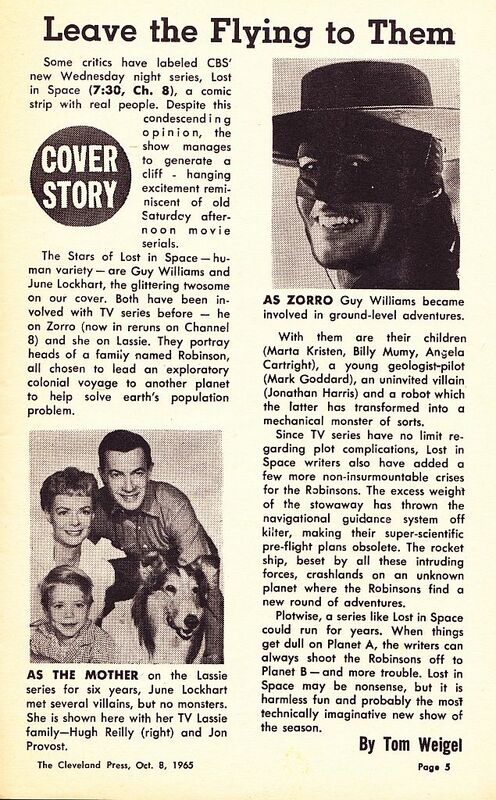 Inside there is a small article on "The Cover Stars", with a picture of Guy Williams as (Walt Disney's) "Zorro", and a picture of June Lockhart with the cast of "Lassie". Other pictures include (inside front cover) color photo of "Laredo" cast, and (inside back cover) color photo of Butl Ives as "O.K. Crackerby". ***View my other auctions to find- Batman / Munsters / Lost in Space / Man From Uncle / Bettie-Betty Page / Ghoulardi / WGN TV 9 Chicago / Jack Kirby and other pop culture items!! !